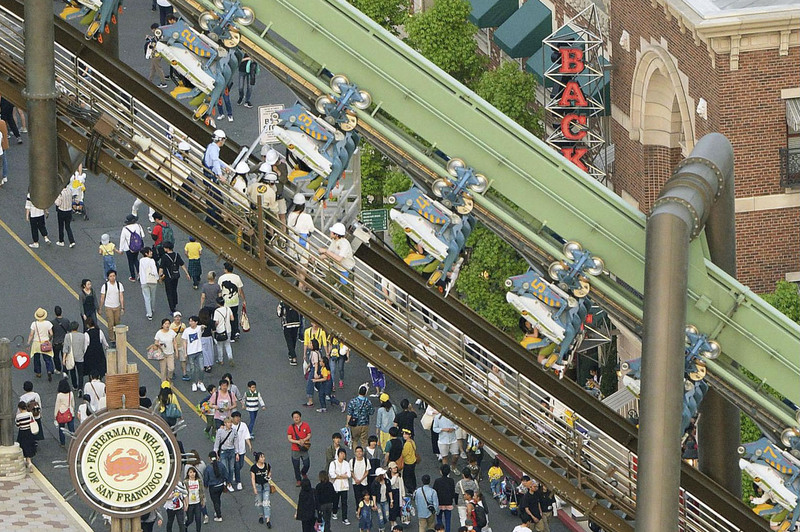 OSAKA - A roller coaster at Universal Studios Japan in Osaka stalled and left some riders suspended in a prone position for up to two hours before they were safely rescued, the theme park said Tuesday. No injuries were reported among about 60 passengers on the Jurassic Park-inspired Flying Dinosaur roller coaster after two carriages suddenly got stuck at around 4:45 p.m., the theme park said. The roller coaster had similar issues during operation in August and September last year. One carriage halted about 20 to 30 meters above the ground on its upward track while the other stopped just before reaching the terminal. A safety mechanism was activated after detecting some abnormality, halting the operation of the roller coaster. Theme park staff guided stranded passengers to the ground through an aisle along the side of the roller coaster before resuming operations two hours later. 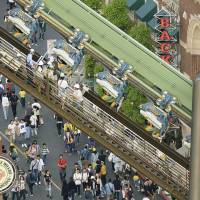 The theme park was particularly busy due to the Golden Week holidays. Despite the incident, many people lined up to ride the roller coaster as soon as operations resumed shortly after 7 p.m.
A spokesperson for the park said the suspension of the roller coaster was the result of the operator’s priority on safety. The roller coaster was launched in March 2016 over a 1,120-meter course. Its highest point is 37 meters above the ground.